Sometimes it can be exhausting living in the land of the health conscious. Did I really need to spend $20 on a coconut milk iced latte and a green juice? Probably not. Do I regret my decision? No, never when coffee is involved. But there are definite benefits to this lifestyle, the first being that healthy or intolerance-conscious food is relatively easy to come by. The second is that said healthy food can be pretty tasty, well-thought out, and served from a nice spot in a cool neighborhood. And Great White, Venice's new healthy cafe, ticks all these "healthy food" boxes. 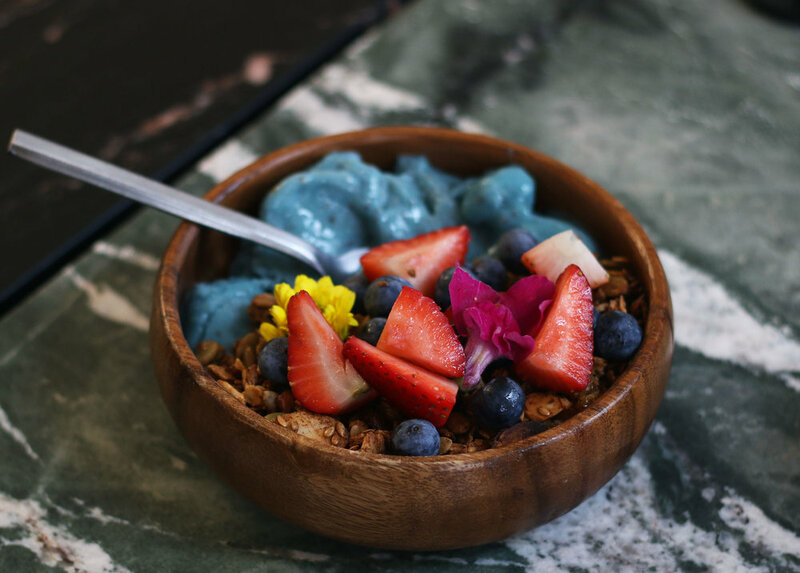 Opening in September on Pacific across the street from the iconic hanging "Venice" sign, Great White is a perfect fit for the local surf crowd, offering all-day favorites from avocado toast to fish tacos and smoothie bowls. The small space is minimal and bright, with an open patio space that's lovely on sunny days.